Okay y’all, let me explain. Every year for Father’s Day, I ask my dad what kind of cake he wants, and pretty much every time he says something chocolate. Last week when I texted him and asked, already trying to think of something chocolate that I haven’t made yet, he came back and said LEMON. I had not expected this. I quickly tried to think of citrus flavored cakes and flavor combinations, trying to decide what to buy and how it should look. Somehow I landed on the idea of an orange cake, which is pretty close to lemon I guess. And then it hit me. BLUE MOON. As my parents’ only child, I think the idea of drinking weirded my dad out for awhile. I don’t drink beer very often (I’m more of a wine and cocktails girl), but Blue Moon is one that I actually like. My dad usually finds a beer he likes and sticks to it, but randomly he tried Blue Moon, and now here we are both liking the same beer. 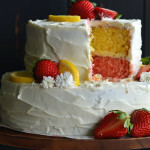 So what is a chiffon cake and how is it different than regular cakes? Well, chiffon cakes are made with vegetable oil instead of butter, and the egg yolks are added as per usual, but the egg whites are whipped and then the meringue is folded into the batter. I *believe* they’re also usually made in angel food cake pans, but any pan will do really. 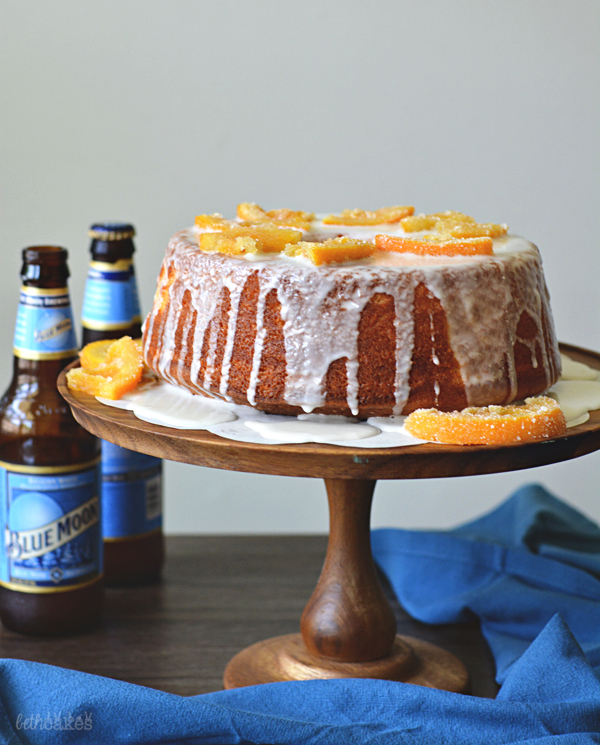 Here we’ve got an orange chiffon cake–which is SO soft and fluffy–with Blue Moon glaze and beer candied orange slices. If you don’t want to use beer to candy the orange, you can use water instead. Preheat the oven to 350 degrees. Rub the inside of an angel food cake pan with butter. Whisk together cake flour, sugar, baking powder, and salt in a large bowl. Add vegetable oil, orange juice, and egg yolks. Mix on medium speed with an electric mixer until completely incorporated. Add orange zest and vanilla extract and mix well. In another bowl, add the egg whites and cream of tartar. Mix on medium-high speed until stiff peaks form. Fold half of the meringue into the cake batter, and then repeat with the second half. Pour the batter into the prepared cake pan. (Angel food cake pan should be about ⅔ full.) Place the angel food cake pan on a baking sheet and bake for 45 minutes, or until a toothpick inserted into the cake comes out clean. Let cake cool completely. Whisk together powdered sugar and beer. Pour over cake. I’ll echo what Beth said – “you should really give this cake a try.” The orange flavor is not too bold and everthing tasted great. A very nice change from my normal chocolate cake request. 🙂 Thank you little girl for the cake! Oh well you know how I love putting alcohol in foods! Love the addition of Blue Moon here. It’s a beer that I love to drink as well. And oh – we are both only children! This looks amazing! 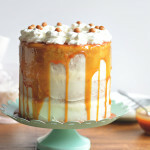 I’ll definitely be trying to make this soon! Good for your father for changing it up this year. I love chocolate so much that I would probably pick that every time too! 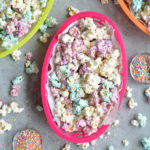 Looks delicious though, definitely pinning this! Thanks for sharing! 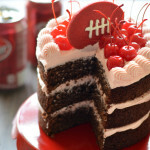 Oh my goodness, you’re killing me with this cake!! 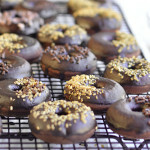 The Blue Moon glaze?! For real? That sounds too good, cause Blue Moon is my fave beer too, and I’m not a big beer drinker. I need to try this!! 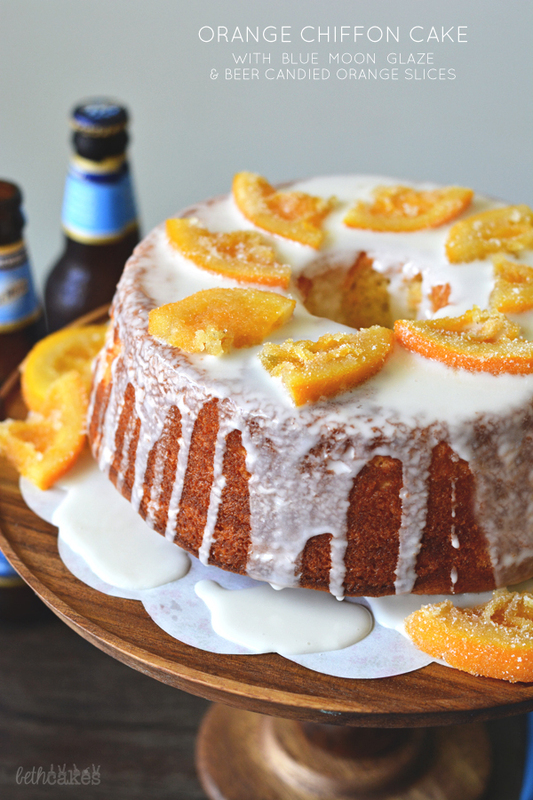 Honestly, Orange is not usually my favorite but this cake literally will melt in your mouth! Aww, what an awesome cake to make for your dad!! I love the sound of this … I’m a huge orange fan and how fun with the blue moon! I didn’t realize that was the difference between a chiffon cake and a regular cake! Looks beautiful! OMG, this is absolutely BRILLIANT, Beth! 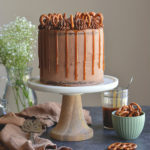 I’m a huge Blue Moon fan, and the idea of using it as inspiration to make this cake and then glazing the darn thing with it is wonderful! Pinning this… and I cannot wait to make it! Thanks for sharing this!